Have you avoided getting your teeth straightened because you never wanted to endure metal mouth? Invisalign orthodontic treatment has made it possible for adults and teens to straighten their teeth in a virtually invisible way. Before Invisalign treatment can begin, your Chester Hill Invisalign provider will determine whether you are a good candidate for this method of orthodontia. 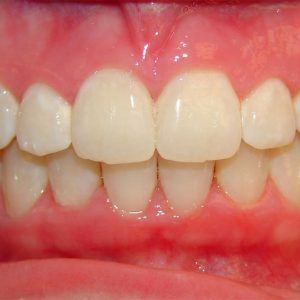 Your unique alignment issues and the condition of your oral health are both factors and will be evaluated first. Once you have the green light for Invisalign, the initial treatment plan will be designed by Dr. Chi Fu and a series of clear, custom-designed aligners will be created just for you to straighten your teeth. Each set of Invisalign trays are worn for about two weeks, sometimes longer depending on your alignment issues. Then, the aligners are exchanged for the next series of trays in your orthodontic plan. 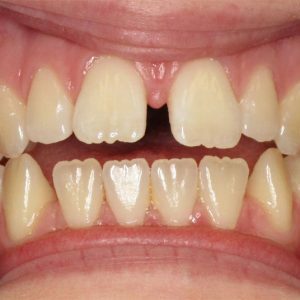 This strategy allows for the gradual and methodical shifting of teeth into alignment. The uniqueness of Invisalign lies not only in its appearance but in its method to move only a few teeth at a time. Not all teeth are moved at once. Invisalign is, instead, a consistent and gentle orthodontic treatment. Invisalign takes about 12 months to complete, on average. Invisalign treatment often takes half the time that traditional metal braces take to straighten teeth. The nearly invisible aligners must be worn for 20 to 22 hours a day for the treatment to be effective. Invisalign should only be removed four to six times a day for meals and tooth brushing and flossing. Each Invisalign wearer is usually supplied with 18 to 30 aligners over the course of their treatment. This number depends on the position of the teeth at the start and the severity of the alignment. All of these facts aside, the success of Invisalign is, of course, wholly dependent on the wearer’s dedication to their orthodontic treatment. If you aren’t wearing your aligners as indicated, if you haven’t devoted yourself to a lifestyle that accepts and respects Invisalign, the results will not be optimal. 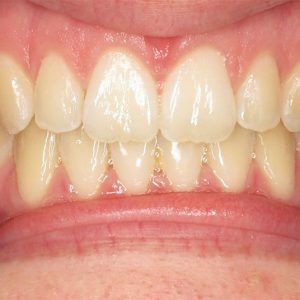 What Oral Health Problems Does Invisalign Correct? Overcrowding: Your mouth simply doesn’t have enough room for all your teeth, and this crowding can lead to an elevated risk of tooth decay and gum disease. 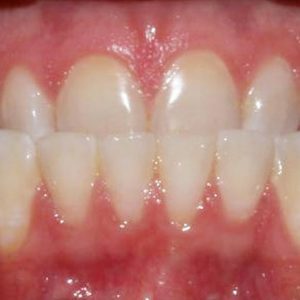 Overbite: When the upper teeth and lower teeth overlap, the condition is typically diagnosed as an overbite. Problems like TMJ and jaw pain can develop from this jaw position. 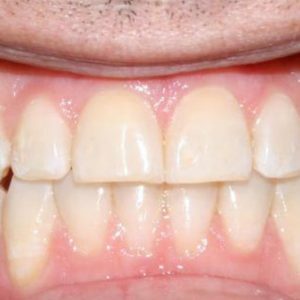 Underbite: The opposite of an overbite, an underbite is when the lower teeth overlap with the upper teeth. TMJ and jaw can also result from this position of the jaw. 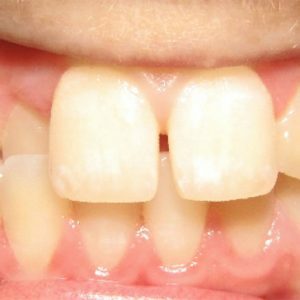 Gaps: Abnormal jaw growth or missing teeth can create large gaps between teeth. Crossbite: A bite that meets unevenly can cause worn tooth enamel, gum disease, and bone erosion. Eating and drinking whatever and whenever you want, thanks to the easy removal of Invisalign aligners. Brushing and flossing your teeth as usual without having to use special tools or carefully clean around brackets and wires. Seeing the dentist less often – only every six weeks (give or take) as opposed to once-a-month appointments for wearers of traditional metal braces who need wires tightened or brackets replaced. Flexibility to briefly remove aligners for special occasions, photo ops, or significant life events. Straightening teeth in less time than other orthodontic methods. Improved oral health since teeth that are in alignment are much easier to clean, thereby reducing the risk of developing tooth decay or gum disease. Avoiding the negative side effects of traditional metal braces is a major draw of this type of treatment – no broken wires or brackets and no poking, scraping, or tearing your gums, lips, cheeks, and tongue. Greater confidence. 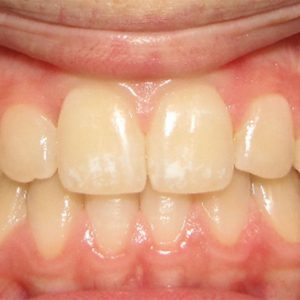 An aligned smile – and an under-the-radar method of achieving it – is truly life-changing. Being confident about your appearance can positively impact your life professionally, socially, mentally, and emotionally. Invisalign is an adjustment for any wearer, just like traditional metal braces. 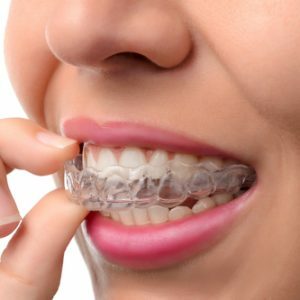 Even though there may be a little discomfort as you become accustomed to the presence of the aligners on your teeth, pressure should then only be expected when you change each set of aligners. Above all, you want to feel that your teeth are shifting – you want to emerge from your orthodontic treatment with a straight, stunning new smile. 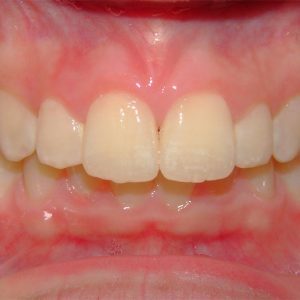 Remember, tooth alignment is not only for teens or very brave adults. Invisalign makes it clear that this treatment is available to nearly every person who wants a straighter smile. Patients in Westchester, NY, enjoy the perks of being an Invisalign patient at Chester Hill Dentistry. Avoid the hassle of noticeable and cumbersome orthodontic treatments – learn more about Invisalign treatment from Dr. Fu and find out whether you are a viable candidate for this type of tooth alignment. Contact our office to schedule an appointment. We proudly serve the residents of Rye, Westchester, Rye Brook, Port Chester, and surrounding areas, including Greenwich, CT.